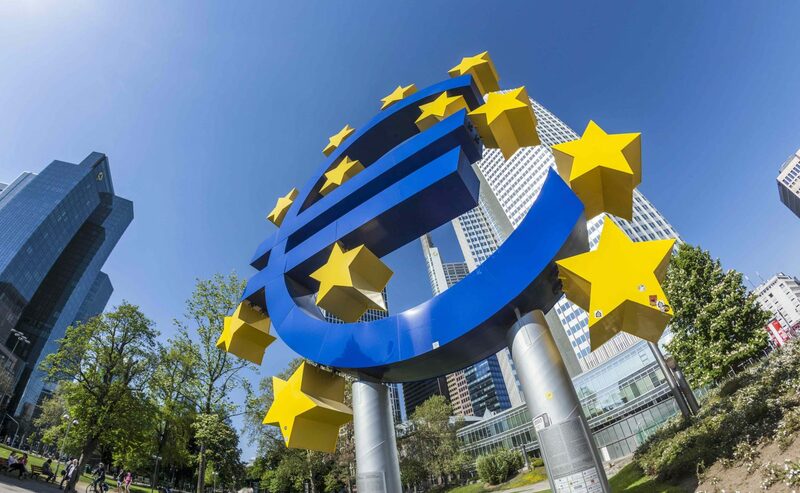 You might not expect someone at the European Central Bank (ECB), the institution that manages monetary policy and oversees financial market infrastructure for the 28-member European Union, to be interested or even passionate about blockchain tech. But, Dirk Bullmann, fintech coordinator and adviser to the director general of the ECB, is evidence of how the technology that originally powered bitcoin and cryptocurrencies is beginning to pick up interest in the world’s largest institutions. Not only is Bullmann’s mandate to explore distributed ledgers, but he’s leading a team actively seeking to identify ways to use the tech to enhance the ECB’s services. This isn’t to say that Bullmann has bought into the idea that blockchain is disruptive, or that one day the ECB will go so far as to issue its own cryptocurrency. Rather, he thinks it will mark a “fascinating” change in how the world exchanges assets, one he believes could enhance, if not redefine, existing financial processes. But despite a recognition of the opportunity, he said there isn’t competitive interest driving central bank’s intrigue in utilizing blockchain. To this end, the ECB launched a joint initiative with Japan’s central bank in December. Announced by executive board member Yves Mersch, the two institutions resolved to explore the tech and release their findings. Bullmann’s task now is to coordinate with the Bank of Japan (BOJ) to explore topics such as how financial market participants could send payments using the technology, prioritizing how a certain payment might be cleared, for instance. Yet, like other enterprises, the ECB is also looking for faster ways to test how blockchain could be applied to newer markets, ones that don’t disrupt or interfere with established practices and working processes. For example, Bullmann’s group is exploring how DLT could be used in its new securities clearance platform T2S, a system designed to make it easier for financial institutions to issue securities meant to cross borders. “We are currently exploring the idea to offer an issuance service for certain supranational debt securities in the European Union, and we are testing if DLT could potentially be used to offer specific aspects of such a service,” Bullmann said. Central securities depositories (CSDs) that participate in T2S today can effectively pool their securities so they can be bought and sold by investors across Europe. Since some technology would need to be selected in standardizing the issuance, Bullmann said DLT was a natural candidate for testing. “It allows us to further explore the potential benefits of this technology, and at the same time, see whether it could be used efficiently and safely. It’s more of a proof of concept,” he said. Initially designed to help bridge the boundaries between different national institutions, it’s perhaps not a surprise that DLT is being considered for T2S. Applying the technology to this type of project makes sense when also considering the ECB’s drive to harmonize Europe’s differing financial markets. Further, the idea has been broached by other institutions, with Standard Chartered publishing a 2016 report in which it asked whether DLT could threaten or replace T2S. The ECB first hinted it could pursue a strategy whereby it examined DLT opportunities as a market operator in a December statement, though it confirmed to CoinDesk trials are actively underway. “Our goal is a single financial market in Europe where the markets over time harmonized technical, business, legal, taxation issues, and this is what we analyze before we implement a new service,” Bullmann said. The idea is that systems like T2S, which was launched in 2015 and will onboard its final wave of CSD members some time in 2017, will make institutions more interoperable. And Bullmann said there’s a broader interest in how DLT could have an impact on this goal. Yet, T2S offers a baby step into implementing DLT more extensively within the ECB. This is especially important when noting the ECB’s worry, which was highlighted in its most recent annual report, that the technology is too immature to use in highly complex financial systems. In the past, the ECB has opined as to whether DLT would serve this purpose, or “introduce a new layer of fragmentation” as outlined in an April 2016 report on the technology. As for its work with partners, the ECB said it’s more about determining if existing service levels and requirements on safety and efficiency can be met by distributed ledger tech. Bullmann pointed out that much of the work is focused on modeling payment exchanges between member institutions via smart contracts, or self-executing blockchain-based code. The idea is that by doing so, liquidity could be improved in markets. “In our payment system, you can qualify a payment with a priority as normal, urgent or highly urgent, and there are specific features in the system that makes sure that the payments are settled according to their priority,” Bullmann explained. He said this work is serving as the starting point for the banks, one that finds the organization dedicating a three-person team to cooperating in a test environment. “The test environment is not entirely comparable to real-life conditions, but this is the starting point of whether the functionalities could meet existing service levels and high requirements on safety and efficiency,” he said. For all the positioning, though, Bullmann is reluctant to make any predictions about where the technology will head, dismissing this as “speculation”. “I sometimes have the impression that the discussion around DLT is driven by the desire just to implement new technology. But, the approach we follow is, first we look at the services our market participants want and the market players need. The question of which technology to use comes in a subsequent step,” he said. Bullmann reported having conversations with various market participants who were moving to implement specific DLT use cases, and given those conversations, he suggested the ECB is currently moving in line with the market by analyzing specific, new use cases. Despite the ECB being one of the more vocal institutions on the subject, Bullmann isn’t ready to compare the work done by those abroad. For now, Bullmann said the approach of the ECB, and its peers, is to study, collaborate and assess.